Yes, I am lagging severely behind on this whole monthly update thing but three cheers to to getting on track again (hip, hip, hooray). 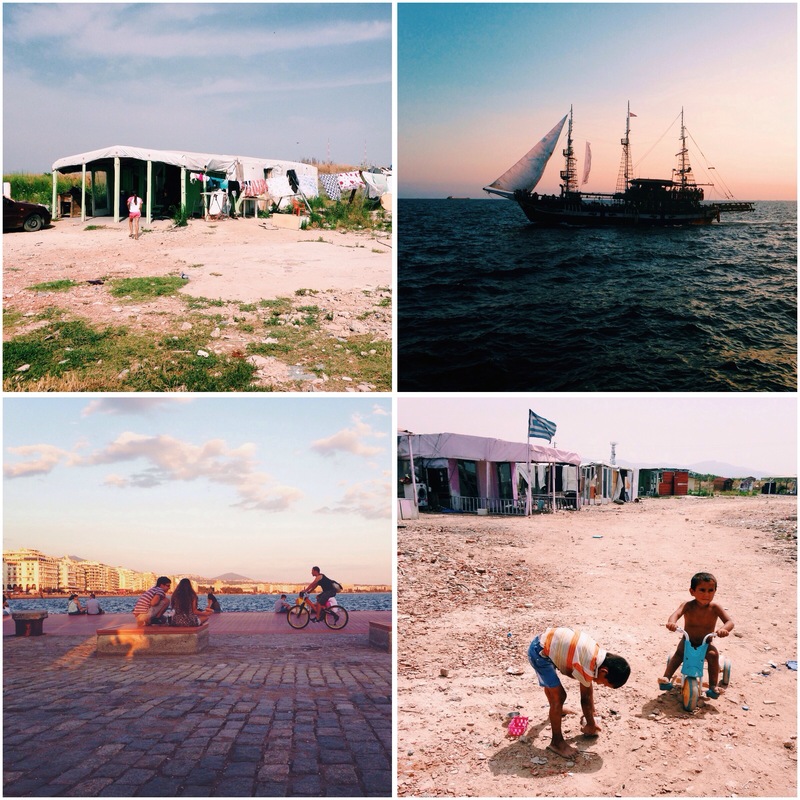 I will start with three words to describe these past two months– hot, exhausting and hopeful. Hot because it is consistently 33 degrees celsius here in Greece. Exhausting because I have only had four days off in the last two months (eek!). Hopeful because I have had the privilege of having a peek into the lives of some amazing people. Having spent time with people from all walks of life these two months, such as the Roma gypsy people, the homeless and Afghan refugees I have heard so many stories that reflect the resilience and collective hope of humankind. These two months have also taken me through a good chunk of Northern Greece. I found most of it to be covered in olive trees and soaked in sunshine. It was beautiful but moving from Northern Greece to the Peloponnese town of Corinth was glorious. Corinth and the surroundings have the most beautiful mountains that stretch down to meet the bluest sea water I think I have ever seen. And after all this traipsing around Greece, I am now in the incredible, sprawling mega-city of Athens. With over 6 million people, saying this city is big is an understatement, it’s flippin’ huge. With accommodations right in the heart of the red-light district, it promises to be an insightful stay- but that’s a story for another day. – Food, food and more food. Greek food is incredible. Think roasted meats, olive oil, lemon, greek salad, tsatziki, feta, olive and greek yogurt. All this has been regularly going into my mouth and it has been awesome! – And going along with that theme, Greek hospitality is great. Greeks are so ready to have a good old chat with you! Just try and stay away from the deep hole that is politics (seriously guys, two hours later and you might just escape). They also love to feed you and that is more than okay with me. 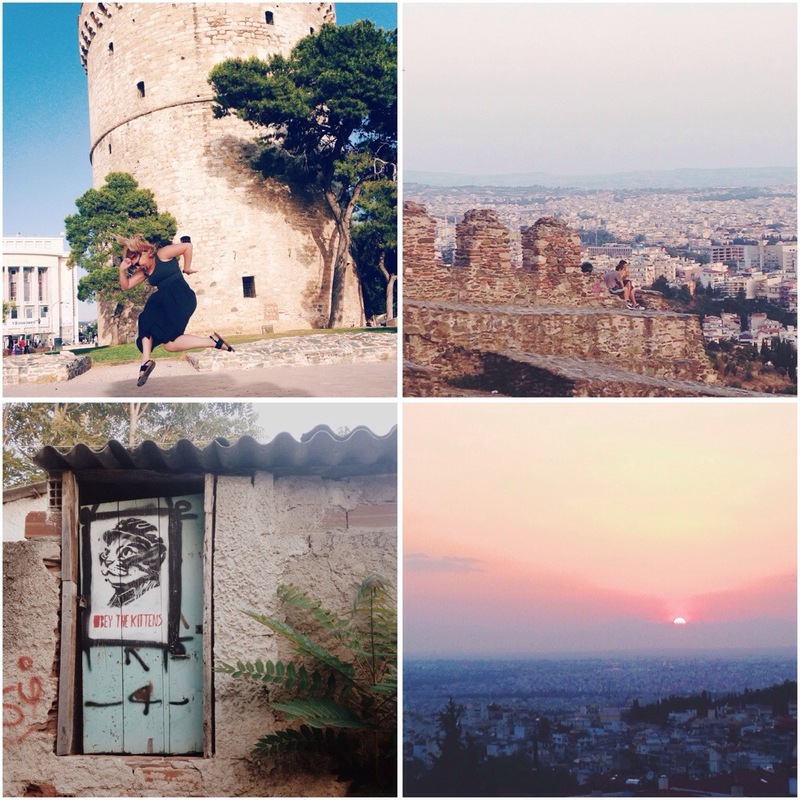 – Thessaloniki was challenging. From the grey streets to getting groped by a homeless person, it just wasn’t very charming. That was until I went into the old town which is home to the old city wall. Cobblestones and winding streets were a sight for sore eyes. I also saw like a million cats (#winning). 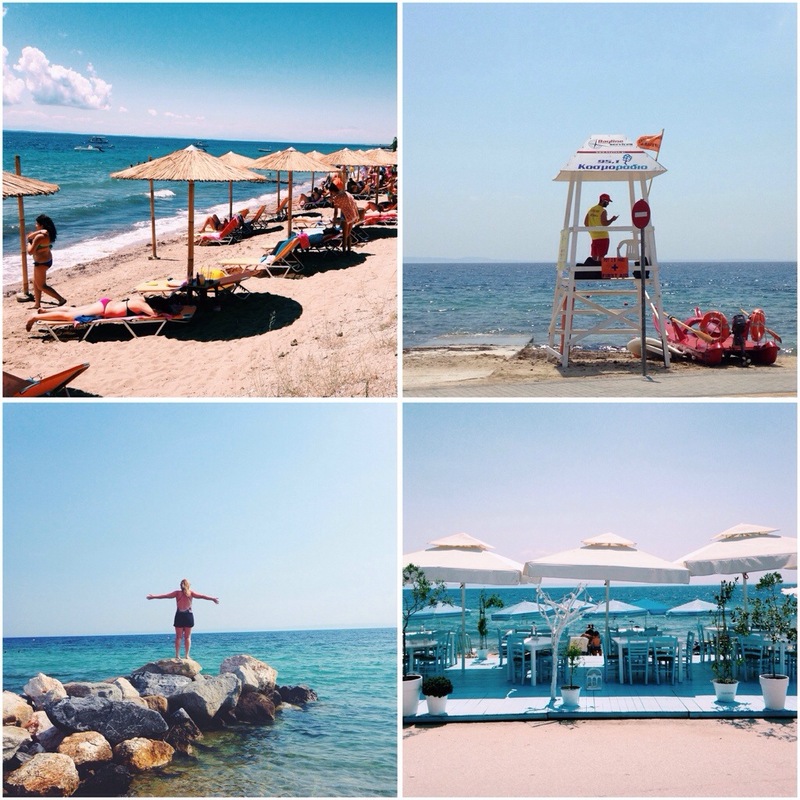 – Finding the best cafe in Greece. The iHeart cafe is completely not-for-profit and all proceeds go towards an anti-trafficking NGO. It is also super cute with great decor, fast wi-fi and has a super tasty frozen lemonade on the menu. 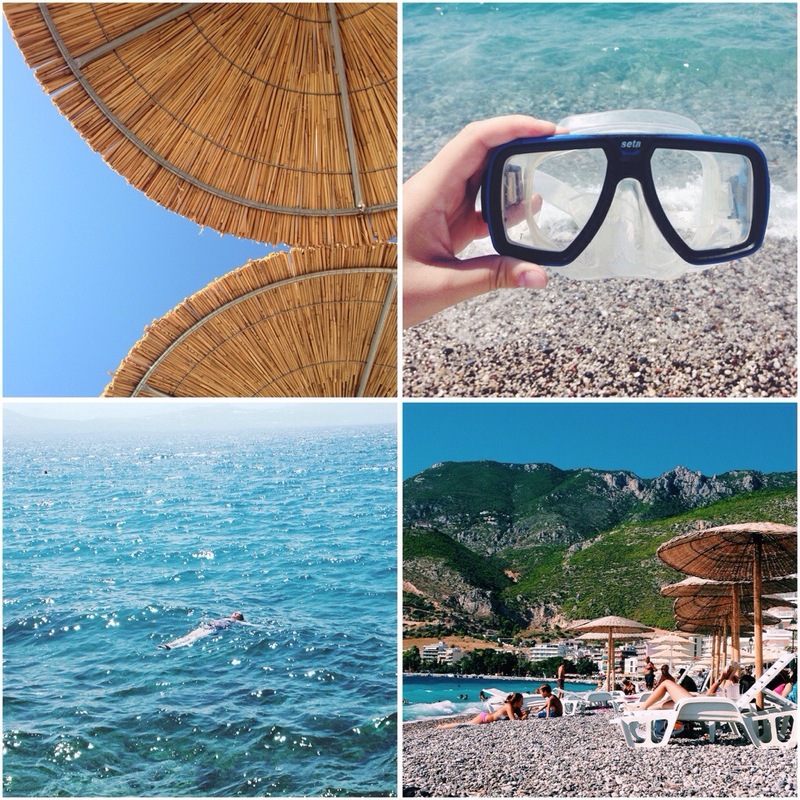 – Spending time in my beloved ocean in both Chalkidiki and Loutraki. I even got to practice some of my freediving. – I spent one of my few days off seeing The Fault in our Stars. I sobbed alongside 200 greek girls. The movie totally lived up to the book. – How can I spend two months in Greece and not include some ruins. The ruins of ancient Corinth were particularly interesting and learning more about the history of the place was enlightening. – The biggest lowlight was the sad loss of a loved one. My Grandpa went up to heaven on Sunday after just recently being diagnosed with a spreading cancer. My heart goes out to my dad and I so wish I could be with him in this hard time. The best thing my Grandpa did was bring my wonderful dad into the world and I’m so grateful for that. 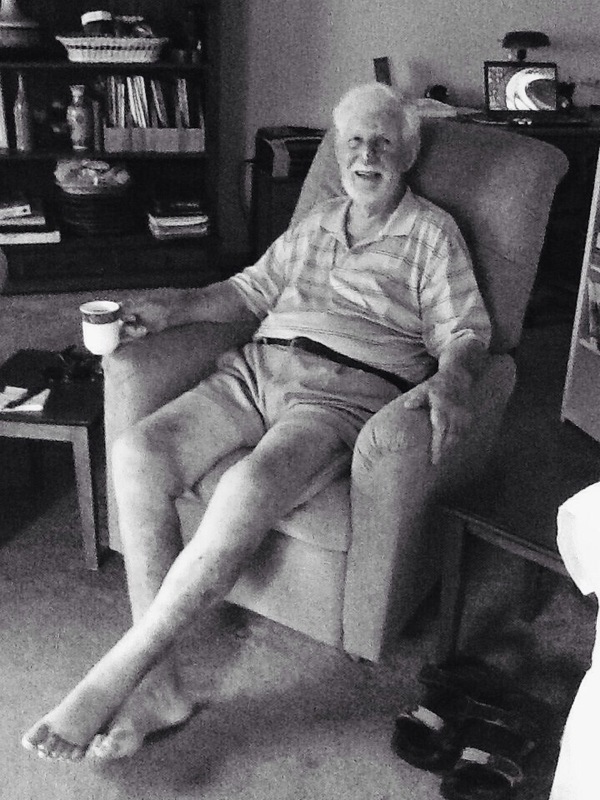 He was a kind man who loved playing golf and getting grumpy at me for sitting in his chair. Although other lowlights are relatively insignificant but here they are. -Travelling in a team is hard. 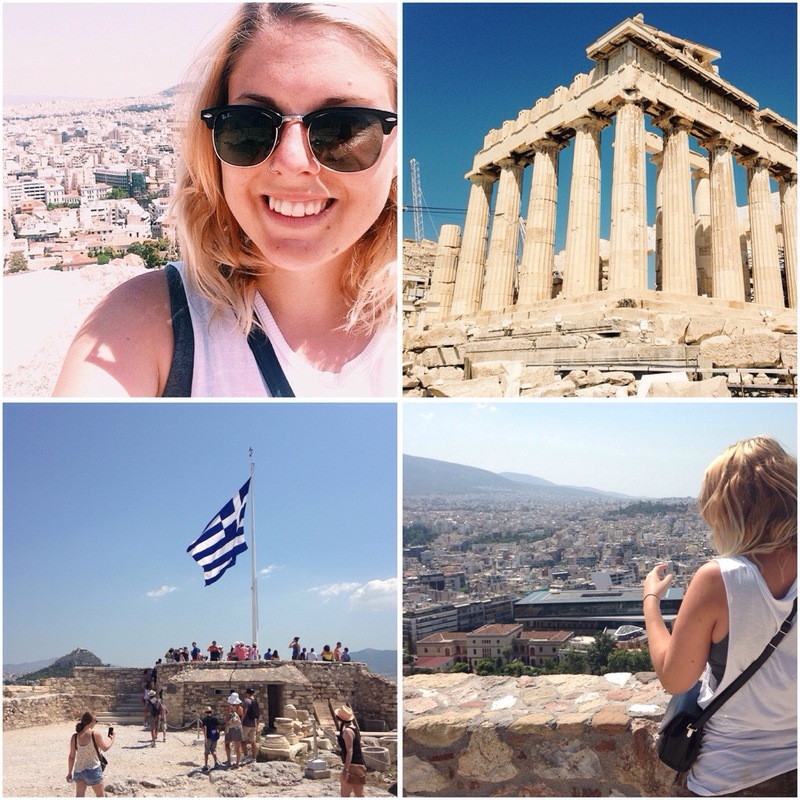 – In Thessaloniki, my migraine headaches got the best of me and I was an invalid for a good amount of time. It sucked but I am thankful I am better now. – Exhaustion. I am so, so tired due to a gruelling schedule and the fact that I have been on the road for seven months. – Being harassed by Greek men on the streets. No wonder Greek guys get a sleazy reputation, some guys need to learn some R E S P E C T.
– My computer has decided to just randomly start deleting pieces of work. Enough said on that too (%^*!&%$). – I spilt a bottle of coconut oil throughout my bag. I now understand how hard oil spills are to clean up. On a positive note, I smell good. 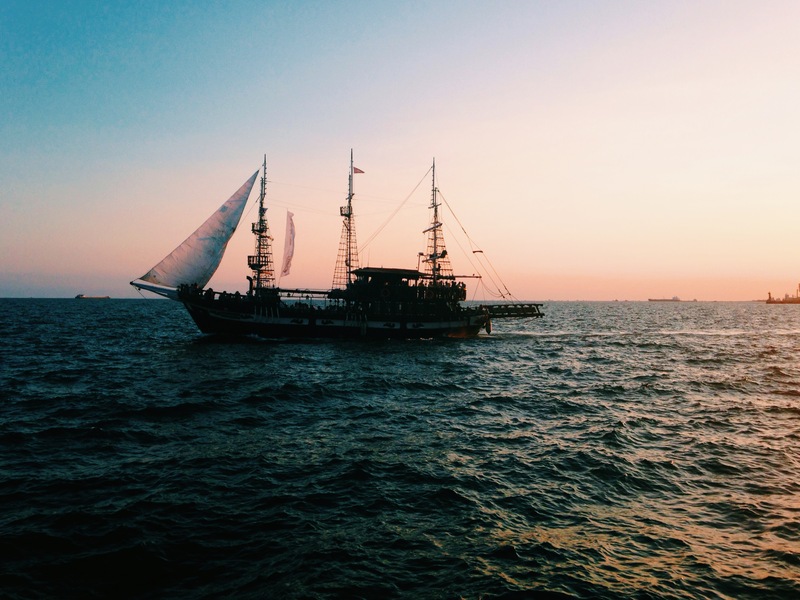 This picture was taken in Thessaloniki at sunset and it just makes me want to sail away into the unknown. I did an interview with the lovely Karisa for her fearless female series. Read it here. I was also in her travel advice column with some simple advice and her article on women friendly destinations (spoiler: Go to Madagascar!). I leave Greece in 5 days and will be heading back to Germany for two weeks. Month seven will be rounded out by some time in the UK and then off to Finland. What have you been up to these past two months? Let me know of your adventures! I would love to hear about them. Write me a comment or send me an email at dirtypawsblog@gmail.com. Love reading your roundups? Are you going to Finland with the big blogger group or coincidence? Thanks Rachel! I love the monkey babysitting post you just wrote. I’m going with a Finnish friend and it’s just a coincidence 🙂 I think they have already left. Greece sounds and looks amazing, but I do picture it as being pretty sweltering. I’ve been living on a Caribbean island for a few years, so the next place I visit will have to have snow! Thanks! It is so grossly hot in Athens.. Would love the beach right now. Or snow!